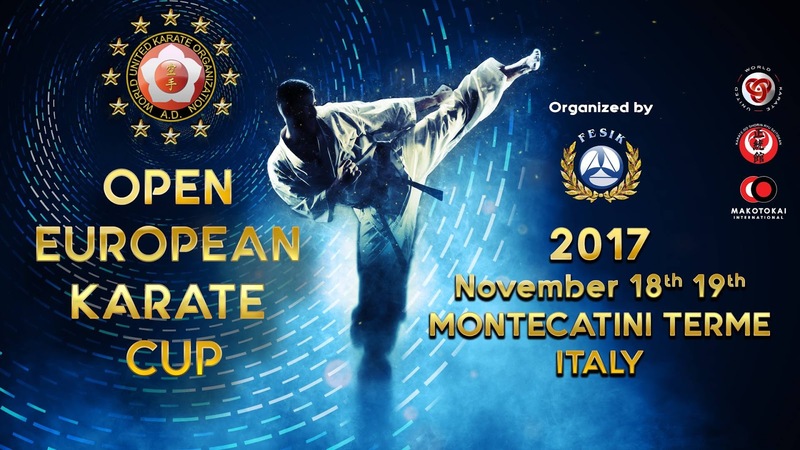 The weekend of 18th – 19th of November I visited Montecatini Terme to watch the Open European Karate Cup. I drove from Muggia early in the morning, and arrived at lunchtime. I said hi to a lot of friends, and I was so lucky to also be presented for the big guys in WUKO! I am really honoured! 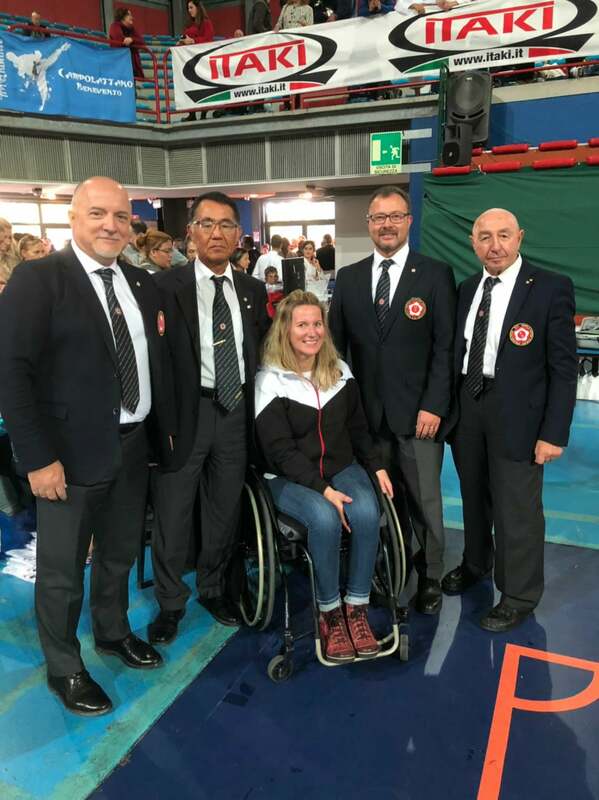 From the left: Master Paolo Bolaffio, WUKO president Sei Iwasa, WUKO chairman Sean Henke and WUKO honorary member Spartaco Bertoletti. I think the arrangement was good! Everyone that wanted to watch was welcome for free. 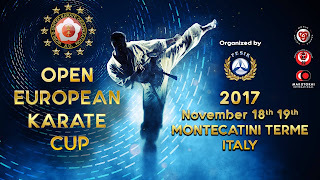 Nearly 1500 participants where attending from many different countries. Unfortunately no one from Norway this time, but I hope we can manage to join in one or two years. It was totally seven tattami with different form of karate. It looked like most of the arrangement went well. I watched mostly Makotokai karate because that is the karate I do. 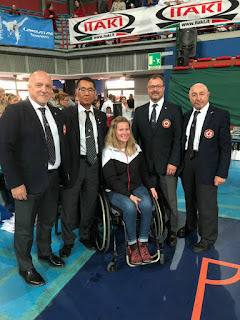 Saturday was the day for kata and for the opening ceremony. After the opening ceremony they started with a class for differently abled people, all from Downs Syndrome to blind people. Everyone did a really great performance! I got to greet great people making this to happen. 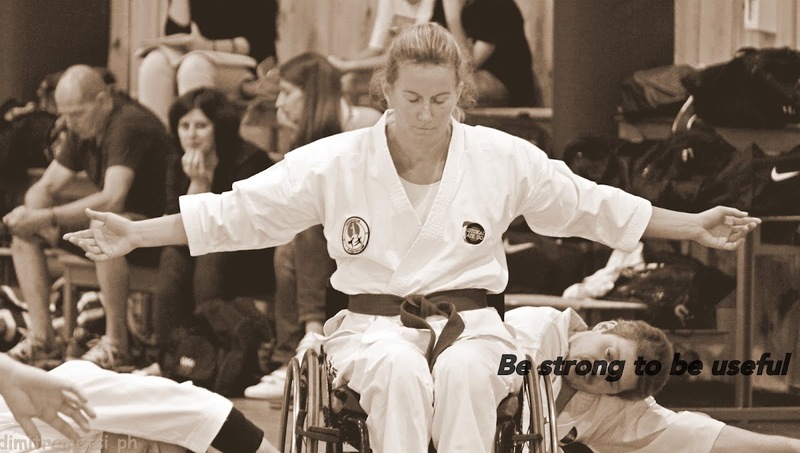 Hope for the future also wheelchair users will join the competitions. The time flied! They where finished around five in the afternoon, and I drove back home. Nearly five hours of drive felt like a short moment.